Fresh off her Daytime Emmy-nomination, “Days of our Lives” star Camila Banus sits down with Mark and Cristina about the big event. Camila also opens up about her character Gabi who is going to prison on the soap opera for killing her ex-husband. In real life, Camila loves Zumba as a workout and even teaches Home & Family how to do the exercise on the stage. ‘”TIMA” top during a TV appearance for Home & Family on Hallmark Channel. Camila also discusses the OTT gown she wore in the day time emmy awards. 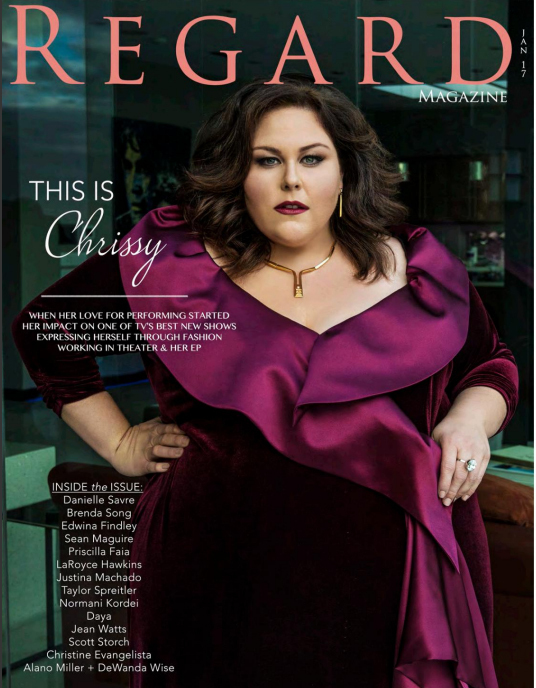 She was also wearing Charlene K Fuchsia slice agate gold ring. On a stunning 400-acre stretch near Nashville, Carrie Underwood and her husband, Mike Fisher, plan to build their dream home. Watch as they take Oprah on a tour of their peaceful property—and give her a special surprise. 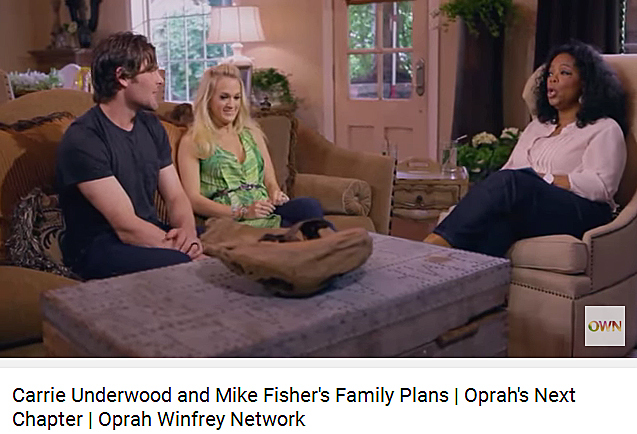 Do country singer Carrie Underwood and her hockey player husband, Mike Fisher, see a houseful of children in their future? 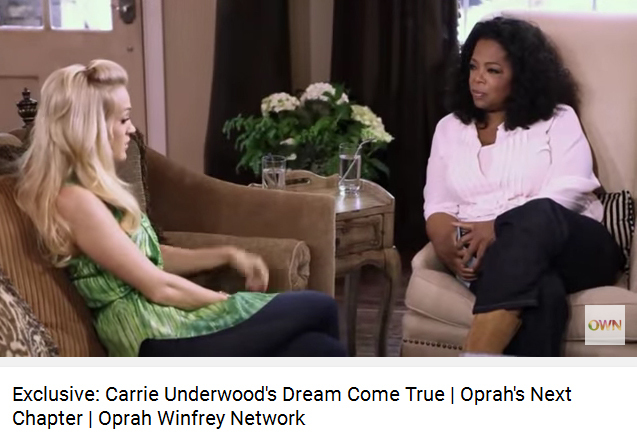 Watch as they open up to Oprah about their hopes for a future family. It’s a New Year’s Eve they’ll never forget. Watch as country singer Carrie Underwood and her husband, Mike Fisher, look back on their first kiss. 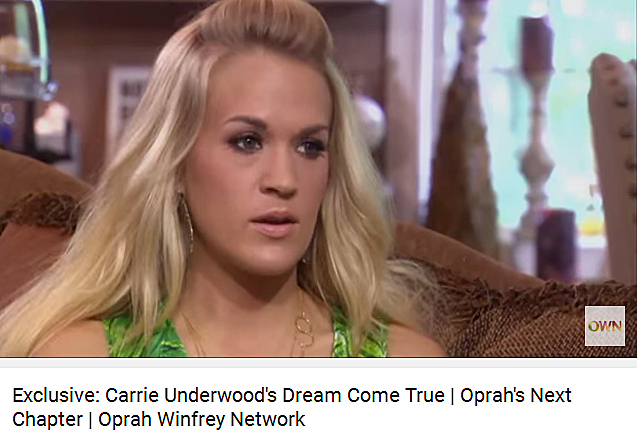 Watch Oprah’s full interview with Carrie and Mike on Oprah’s Next Chapter Sunday, May 20, at 9/8c. 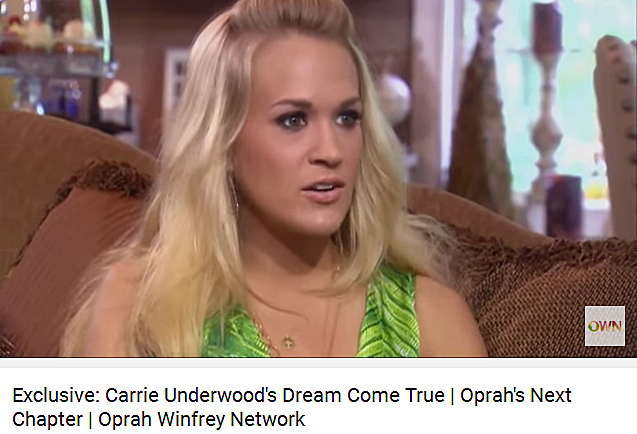 It’s a place his wife Carrie Underwood has rarely visited. 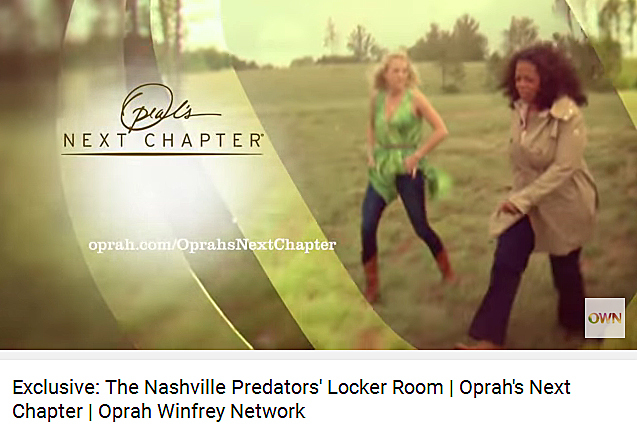 Join Carrie and her NHL player husband Mike Fisher, on a special tour of the Nashville Predators’ locker room. Get an inside look! 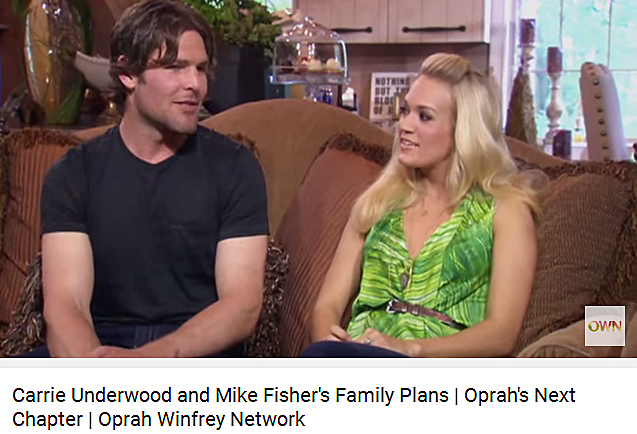 When they got engaged, NHL star Mike Fisher gave country star Carrie Underwood a pair of skates. Watch as they hit the ice—and see if Carrie’s slap shot makes it past her hockey pro husband.